Note: This is a list of presentations with, where possible, abstracts or other content that has not been published in a conference proceedings volume or other publication. S. E. Hawkins III, R. E. Gold, E. C. Roelof, A. C. Keeney, L. J. Lanzerotti, and C. G. Maclennan, Comparison of Low-Energy Particle Events at 1 and 5 AU Using the EPAM and HISCALE Instruments, European Geophysical Union, The Hague, Holland, 1999. O. E. Malandraki, E. T. Sarris, Gr. Kasotakis, and N. Sidiropoulos, Study of the CME Structure and Evolution Deduced from Ulysses/HI-SCALE Energetic Particle Observations, 32nd COSPAR Scientific Assembly, Nagoya, Japan, 12-19 July, 1998. G. M. Simnett, The Acceleration and Release of Solar Energetic Particles in Events from April 20 - May 9, 1998, ISCS Symposium, Nagoya, Japan, July 11, 1998. G. C. Anagnostopoulos, P. K. Marhavilas, E. T. Sarris, S. M. Krimigis, L. J. Lanzerotti, and A. Balogh, On the Origin of Energetic (E>30 keV) Ions and Electrons in the Vicinity of Jupiter's Bow Shock, Conference on the Magnetospheres of the Outer Planets, Boulder, Colo., 1997. G. C. Anagnostopoulos, A. Balogh, P. K. Marhavilas, L. J. Lanzerotti, E. T. Sarris, S. M. Krimigis, A. G. Rigas, and P. C. Trochoutsos, Continual Presence of 10/5 Hour Period Alfven Waves and Plasma Modulation Observed by Ulysses Upstream from Jupiter's Bow Shock, Conference on the Magnetospheres of the Outer Planets, Boulder, Colo., 1997. G. C. Anagnostopoulos, P. K. Marhavilas, E. T. Sarris, S. M. Krimigis, L. J. Lanzerotti, A. G. Rigas, and P. C. Trochoutsos, Quasi-Periodic Flux and Spectral Variations of Energetic Charged Particles Within the Jovian Magnetosphere: Ulysses Observations, Conference on the Magnetospheres of the Outer Planets, Boulder, Colo., 1997. G. C. Anagnostopoulos, A. Balogh, P. K. Marhavilas, E. T. Sarris, S. M. Krimigis, A. G. Rigas, and P. C. Trochoutsos, Continual Presence of 10/5 Hour Period Alfven Waves and Plasma Modulation Observed by Ulysses Upstream from Jupiter's Bow Shock, Solar Terrestrial Coupling Processes, Paros, Greece, 1997. R. E. Gold, L. J. Lanzerotti, T. P. Armstrong, C. G. Maclennan, and E. C. Roelof, Low Energy Interplanetary Particles at High Northern Solar Latitudes, 1997 ICRC Meeting, Durban, South Africa. C. G. Maclennan, L. J. Lanzerotti, T. P. Armstrong, R. E. Gold, and E. C. Roelof, The Solar Minimum Heliosphere at High Northern Solar Latitudes: Low Energy Interplanetary Particles, 1997 IAGA Meeting, Uppsala, Sweden. O. E. Malandraki, Gr. Kasotakis, E. T. Sarris, and P. Trochoutsos, Propagation of Solar Flare Electrons in Interplanetary Magnetic Structures, International Symposium on Solar-Terrestrial Coupling Processes, Paros, Greece, 23-27 June, 1997. P. K. Marhavilas, E. T. Sarris, and P. C. Trochoutsos, Observations of Shock Acceleration Signatures by Ulysses, 1997 IAGA Meeting, Uppsala, Sweden. G. C. Anagnostopoulos, P. Marhavilas, E. T. Sarris, S. M. Krimigis, L. J. Lanzerotti, and A. Balogh, 10 Hours Modulation of Magnetic Field and Hot Plasma Characteristics Observed by Ulysses Outside Jupiter's Bow Shock, 8th European Meeting on Solar Physics, Thessaloniki, Greece, 1996. L. J. Lanzerotti, R. E. Gold, K. A. Anderson, T. P. Armstrong, S. E. Hawkins III, S. M. Krimigis, R. P. Lin, C. G. Maclennan, M. Pick, E. C. Roelof, E. T. Sarris, G. M. Simnett, S. J. Tappin, and D. J. Thomson, High Solar Latitude Measurements of Low Energy Interplanetary Particles, European Geophysical Society Meeting, 1996. Abstract. C. G. Maclennan, L. J. Lanzerotti, T. P. Armstrong, R. E. Gold, E. C. Roelof, and R. E. Decker, Low Energy Charged Particle Measurements Over the Solar Poles, 1996 COSPAR Meeting, Birmingham, England, July 1996. O. E. Malandraki, Gr. Kasotakis, E. T. Sarris, P. Trochoutsos, D. Dialetis, and G. Tsiropoula, Study of Solar Flare Electron Event Onsets, 8th European Meeting on Solar and Heliospheric Physics, Thessaloniki, Greece, 23-18 May, 1996. P. K. Marhavilas, E. T. Sarris, P. C. Trochoutsos, Gr. Kassotakis, and G. C. Anagnostopoulos, Observations of Shock Acceleration Signatures by Ulysses, 8th European Meeting on Solar Physics, Thessaloniki, Greece, 1996. N. Sidiropoulos, P. K. Marhavilas, E. T. Sarris, G. C. Anagnostopoulos, P. C. Trochoutsos, and D. Dialetis, Simultaneous Observations of SEP Events by the Ulysses and IMP8 Spacecraft, 8th European Meeting on Solar Physics, Thessaloniki, Greece, 1996. M. Pick, Results from the Ulysses Mission in France, Groupement de recherches PLASMAE, Chantilly, France, December 1996. E. C. Roelof and G. M. Simnett, Recurrent Low-Energy Proton and Electron Events at High Latitudes and Magnetic Structure Beyond Ulysses, 1996 COSPAR Meeting, Birmingham, England, July 1996. G. C. Anagnostopoulos, E. T. Sarris, Th. Cartsounis, and S. M. Krimigis, On the Origin of Energetic Ions Observed by Ulysses Upstream From Jupiter's Bow Shock, 1995 IUGG Meeting. G. C. Anagnostopoulos, A. Balogh, P. Marhavilas, M. Daugherty, E. T. Sarris, L. Lanzerotti, and S. M. Krimigis, 10 Hours Modulation of Magnetic Field and Hot Plasma Measurements Obtained by Ulysses Upstream and Downstream from Jupiter's Bow Shock (Days 22-34, 1992), 1995 IUGG Meeting. G. C. Anagnostopoulos, A. Balogh, P. Marhavilas, M. Daugherty, B. Forsyth, E. T. Sarris, and S. M. Krimigis, 10 Hours Modulation of Magnetic Field and Hot Plasma Characteristics Observed by Ulysses Outside From Jupiter's Bow Shock, Hellenic Astronomical Conference, Greece, 1995. G. C. Anagnostopoulos, A. Balogh, P. Marhavilas, M. Daugherty, E. T. Sarris, L. Lanzerotti, and S. M. Krimigis, 10 Hours Modulation of Magnetic Field and Hot Plasma Data Obtained by Ulysses Upstream and Downstream From Jupiter's Bow Shock, NATO Institute, Solar and Astrophysical MHD Flows, Greece, 1995. S. E. Hawkins III, A. F. Cheng, L. J. Lanzerotti, and C. G. Maclennan, Studies of Hot Plasmas at High Jovian Magnetic Latitudes, European Geophysical Society Meeting, Hamburg, Germany, April 3-7, 1995. Abstract. N. Krupp, B. T. Tsurutani, L. J. Lanzerotti, and C. G. Maclennan, Hydromagnetic Wave Event in the Jovian Magnetosphere, 1995 IUGG Meeting. L. J. Lanzerotti, R. E. Gold, K. A. Anderson, T. P. Armstrong, S. M. Krimigis, R. P. Lin, C. G. Maclennan, M. Pick, E. C. Roelof, E. T. Sarris, G. M. Simnett, and S. J. Tappin, Ulysses from Pole to Pole: Low Energy Interplanetary Charged Particle Measurements (invited), 1995 IUGG Meeting. L. J. Lanzerotti, R. E. Gold, T. P. Armstrong, C. G. Maclennan, S. M. Krimigis, M. Pick, E. C. Roelof, E. T. Sarris, G. M. Simnett, K. A. Anderson, R. P. Lin, S. E. Hawkins III, and S. J. Tappin, Over the South Solar Pole: Low Energy Interplanetary Charged Particles (invited), European Geophysical Society Meeting, Hamburg, Germany, April 3-7, 1995. Abstract. L. J. Lanzerotti, R. E. Gold, K. A. Anderson, T. P. Armstrong, S. M. Krimigis, R. P. Lin, C. G. Maclennan, M. Pick, E. C. Roelof, E. T. Sarris, S. J. Tappin, and D. J. Thomson, Ulysses at High Heliolatitudes: Low Energy Conference on Cosmic Rays (invited), Int'l Conference on Cosmic Rays, Rome, Sept. 1995. C. G. Maclennan, L. J. Lanzerotti, and R. E. Gold, Studies of the Anomalous Cosmic Ray Helium and Oxygen Components as a Function of Heliolatitude, European Geophysical Society Meeting, Hamburg, Germany, April 3-7, 1995. Abstract. C. G. Maclennan, L. J. Lanzerotti, R. B. Decker, S. M. Krimigis, M. R. Collier, and D. C. Hamilton, Heliolatitude Dependence of CIR-Accelerated Interplanetary Heavy Ions, 1995 IAGA Meeting, Boulder, 1995. C. G. Maclennan and L. J. Lanzerotti, Low Energy Anomalous Cosmic Rays at High Heliolatitudes, Int'l Conference on Cosmic Rays, Rome, Sept. 1995. E. C. Roelof and R. B. Decker, Shocks and Energetic Particles Throughout the Heliosphere, 1995 IUGG Meeting. D. J. Thomson, L. J. Lanzerotti, and C. G. Maclennan, Time-Series Analysis of Low Energy Interplanetary Charged Particle Fluxes, Int'l Conference on Cosmic Rays, Rome, Sept. 1995. D. J. Thomson, L. J. Lanzerotti and C. G. Maclennan, Solar Modes Observed by Ulysses: Some Implications, URSI, Boulder, CO, January 1995. M. K. Dougherty, M. Dunlop, C. Rastoin, M. Hammond, L. J. Lanzerotti, and C. G. Maclennan, Diagnostic of High Latitude Jovian Aurorae Through Simultaneous In-situ Ulysses Particle and Field Measurements and HST Remote Sensing Images, Symposium on Magnetospheres of the Outer Planets, Graz, Austria, August 1994. 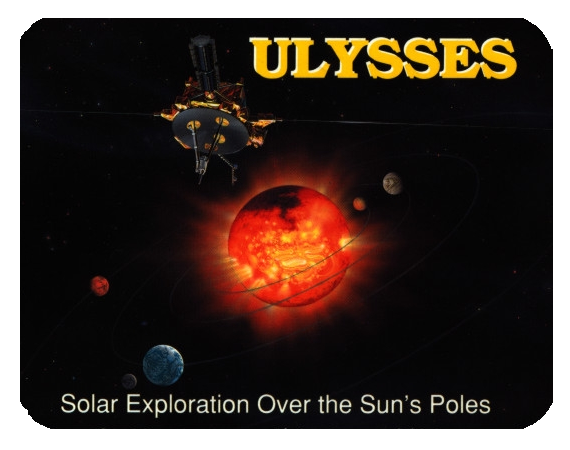 G. Gloeckler, E. C. Roelof, and K. W. Ogilvie, Proton Phase-Space Densities (0.5eV Ep 5MeV) at Mid-latitudes from Ulysses SWICS/HISCALE Measurements, Second Pioneer-Voyager Symposium on Energetic Particles and Fields in the Outer Heliosphere, UNH, June 1994. S. E. Hawkins, A. F. Cheng, L. J. Lanzerotti, and C. G. Maclennan, Particle Anisotropies in the High Latitude, Dusk Magnetosphere of Jupiter, Symposium on Magnetospheres of the Outer Planets, Graz, Austria, August 1994. S. M. Krimigis, S. E. Hawkins III, A. F. Cheng, L. J. Lanzerotti, and C. G. Maclennan, Ulysses HI-SCALE Anisotropies, Symposium on Magnetospheres of the Outer Planets, Graz, Austria, August 1994. L. J. Lanzerotti, E. T. Sarris, T. P. Armstrong, C. G. Maclennan, G. M. Simnett, A. F. Cheng, R. E. Gold, D. J. Thomson, K. A. Anderson, S. E. Hawkins III, S. M. Krimigis, M. Pick, E. C. Roelof, and S. J. Tappin, Overview of Selected Hot Plasma Measurements at Jupiter by the Hi-Scale Instrument on Ulysses, European Geophysical Society Meeting, 1994. Abstract. L. J. Lanzerotti, C. G. Maclennan, R. E. Gold, E. C. Roelof, S. M. Krimigis, T. P. Armstrong, M. Pick, E. T. Sarris, G. M. Simnett, K. A. Anderson, and R. P. Lin, Measurement of Heliolatitude Dependence of Anomalous Cosmic Ray Oxygen, Second Pioneer-Voyager Symposium on Energetic Particles and Fields in the Outer Heliosphere, UNH, 1994. C. G. Maclennan, V. Pirronello, R. B. Decker, and S. M. Krimigis, Erosion and Modification of Outer Solar System Objects, European Geophysical Society Meeting, 1994. C. G. Maclennan, L. J. Lanzerotti, D. J. Thomson, and G. M. Simnett, Heavy Ion Interplanetary Particle Composition Variations Out of the Ecliptic Plane During 1993-1994, 1994 COSPAR Meeting, Hamburg, Germany. M. Pick, A. Buttighoffer, A. Mangeney, S. Hoang, E. C. Roelof, R. Forsyth, and J. L. Phillips, Interplanetary Electron and Radio Events, European Geophysical Society Meeting, 1994. Abstract. E. C. Roelof, Determination of a Parallel Mean-free Path 20 AU at 5.4 AU for 0.5-1.0 MeV Protons Observed by Ulysses, Second Pioneer-Voyager Symposium on Energetic Particles and Fields in the Outer Heliosphere, UNH, June 1994. G. M. Simnett and E. C. Roelof, Acceleration of Electrons and Protons by Recurrent Reverse Shocks at Mid-Latitudes: Ulysses 5.3 AU to 3.8 AU, Second Pioneer-Voyager Symposium on Energetic Particles and Fields in the Outer Heliosphere, UNH, June 1994. G. M. Simnett, K. A. Sayle, E. C. Roelof, and S. J. Tappin, Co-Rotating Ion and Electron Enhancements at High Solar Latitudes, 1994 COSPAR Meeting, Hamburg, Germany. Abstract. K. A. Anderson, J. Sommers, R. P. Lin, J. L. Phillips, and N. Murphy, Scatter-Free Propagation of Solar Flare Electrons in a Small Scale Interplanetary Magnetic Field Structure, International Cosmic Ray Conference, Calgary, Canada, July 1993. L. J. Lanzerotti, E. T. Sarris, P. Trohoutsos, P. Marhavilas, S. M. Krimigis, and T. P. Armstrong, Ion Bursts Inside Jupiter's Magnetosphere, European Geophysical Society Meeting, Wiesbaden, Germany, May 1993. E. T. Sarris, L. J. Lanzerotti, P. Trohoutsos, G. Anagnostopoulos, S. M. Krimigis, G. M. Simnett, K. A. Anderson, and R. P. Lin, Implications of Normal Velocity Dispersion of Ion Bursts Upstream of the Jovian Bow Shock, European Geophysical Society Meeting, Wiesbaden, Germany, May 1993. E. T. Sarris, G. C. Anagnostopoulos, P. C. Trochoutsos, S. M. Krimigis, L. J. Lanzerotti, G. Simnett, K. Anderson, and R. Lin, On the Behavior of Superthermal Ions Upstream From the Jovian Bow Shock, 6th Conference of the Union of Greek Physicists, Komotini, Greece, 1993. T. P. Armstrong, L. J. Lanzerotti, R. E. Gold, S. M. Krimigis, E. C. Roelof, K. A. Anderson, R. P. Lin, M. Pick, G. M. Simnett, E. T. Sarris, and A. Balogh, Measurements of Jupiter's Hot Plasma Population with the Ulysses HI-SCALE Instrument (invited), Goertz-Smith Symposium on the Magnetospheres of the Outer Planets, UCLA, June 1992. Presentation materials. T. P. Armstrong, T. H. Choo, E. T. Sarris, G. M. Simnett, and E. Roelof, Ion and Electron Anisotropies During the March 23, 15:43 UT Shock Observed at Ulysses, COSPAR Meeting, Symposium D.2-S, Washington D.C., Aug., 1992. B. E. Goldstein, S. J. Bame, L. J. Lanzerotti, and C. G. Maclennan, Ulysses Observations with Upstream Accelerated Plasma, Western Pacific Geophysics Meeting, August 1992. S. M. Krimigis, Hot Plasma Environment at Jupiter: Ulysses Results, COSPAR Meeting, Washington, D.C., Aug., 1992. 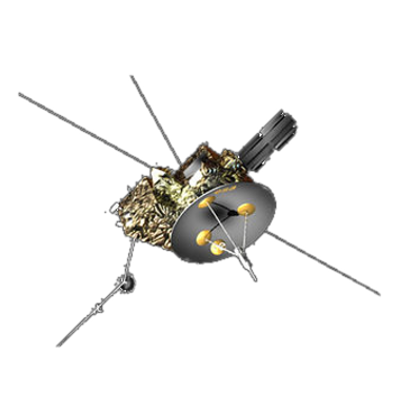 L. J. Lanzerotti, R. E. Gold, E. C. Roelof, G. M. Simnett, K. A. Anderson, T. P. Armstrong, R. P. Lin, and S. M. Krimigis, Low Energy Ion and Electron Measurements at Jupiter by the Hi-Scale Instrument on Ulysses, European Geophysical Society Meeting, Edinburgh, April 1992. Abstract. L. J. Lanzerotti, R. E. Gold, E. C. Roelof, G. M. Simnett, K. A. Anderson, T. P. Armstrong, R. P. Lin, S. M. Krimigis, M. Pick, and E. T. Sarris, Low Energy Ion and Electron Measurements at Jupiter by the Hi-Scale Instrument on Ulysses, COSPAR Meeting (invited), Symposium D.1-S, Washington D.C., Aug., 1992. L. J. Lanzerotti, C. G. Maclennan, R. E. Gold, S. E. Hawkins III, S. J. Tappin, and R. Forsyth, Solar Particle Composition: Measurements in the March 1991 Event at 2.5 AU, COSPAR Meeting, Symposium D.2-S, Washington D.C., Aug., 1992. Presentation materials. C. G. Maclennan, L. J. Lanzerotti, R. E. Gold, S. E. Hawkins III, and S. J. Tappin, Measurements of Low Energy Nuclear Abundances in Jupiter's Magnetosphere, Goertz-Smith Symposium on the Magnetospheres of the Outer Planets, UCLA, June, 1992. Presentation materials. E. C. Roelof, G. M. Simnett, T. P. Armstrong, R. E. Gold, and L. J. Lanzerotti, The Decay Phase of the March-April, 1991 Low-Energy Particle Events Observed at Ulysses and Earth, COSPAR Meeting, Symposium D.2-5, Washington, D.C., Aug., 1992. Abstract. G. M. Simnett, S. J. Tappin, L. J. Lanzerotti, R. E. Gold, E. C. Roelof, K. A. Anderson, T. P. Armstrong, R. P. Lin, S. M. Krimigis, M. Pick, and E. T. Sarris, Particle Anisotropy During the Onset of a Solar Event, European Geophysical Society Meeting, Edinburgh, April 1992. Presentation materials. S. J. Tappin, G. M. Simnett, L. J. Lanzerotti, R. E. Gold, S. M. Krimigis, E. C. Roelof, K. A. Anderson, R. P. Lin, T. P. Armstrong, M. Pick, E. T. Sarris, and A. Balogh, Shock Acceleration in the Solar Wind on 27 May 1991, European Geophysical Society Meeting, Edinburgh, April 1992. Presentation materials. R. E. Gold, L. J. Lanzerotti, C. G. Maclennan, K. A. Anderson, T. P. Armstrong, S. E. Hawkins III, R. P. Lin, S. M. Krimigis, M. Pick, E. C. Roelof, E. T. Sarris, and G. M. Simnett, Low Energy Ion Composition During Solar Events, Solar Wind Conference, Goslar, Germany, Sept. 1991. L. J. Lanzerotti, R. E. Gold, K. A. Anderson, T. P. Armstrong, R. P. Lin, S. M. Krimigis, M. Pick, E. C. Roelof, E. T. Sarris, G. M. Simnett, and W. E. Frain, Low Energy Ion and Electron Measurements Beyond 2 AU on the Ulysses Spacecraft, Solar Wind 7 Conference, Goslar, Germany, Sept. 16-21, 1991. C. G. Maclennan, L. J. Lanzerotti, R. E. Gold, K. A. Anderson, T. P. Armstrong, R. P. Lin, S. M. Krimigis, M. Pick, E. C. Roelof, E. T. Sarris, G. M. Simnett, and W. E. Frain, Low Energy Ion and Electron Measurements beyond 2 AU on the Ulysses Spacecraft, poster presented at IUGG/IAGA, Session 4.4, The Outer Heliosphere, Aug. 16, 1991, Vienna, Austria. Presentation materials.